Trade body Eventia has confirmed Holiday Inn Brighton – Seafront as the venue for its' Summer Eventia' annual conference, from 5-7 July. In 2008 the event attracted some 250 attendees to The Lowry Hotel in Manchester and Eventia has said it "plans to build further on the success of last year's conference" by working closely with the teams at Visit Brighton and the venue. 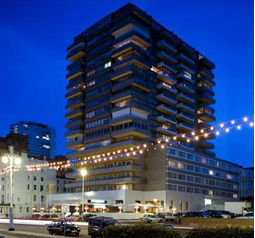 Eventia chief executive Izania Downie said: "We are delighted to be holding our 2009 conference at the Holiday Inn Brighton – Seafront. We are impressed with the conference planning team and believe we will deliver an enjoyable, professional, must-attend event."